You may have seen a recent article in The New York Times about the High Line Plinth—a new landmark destination for major public art commissions that will be on the High Line at West 30th Street and 10th Avenue on the Spur, the new section of the park set to open in mid-2018. The High Line Plinth will designate the first space on the High Line dedicated specifically to art, featuring a rotating program of new commissions every 18 months. After collecting and reviewing more than 50 proposals from a wide range of artists recommended by an international advisory committee, High Line Art selected 12 shortlisted proposals for the inaugural Plinth Commissions. See those proposals, and read about the artists, here. 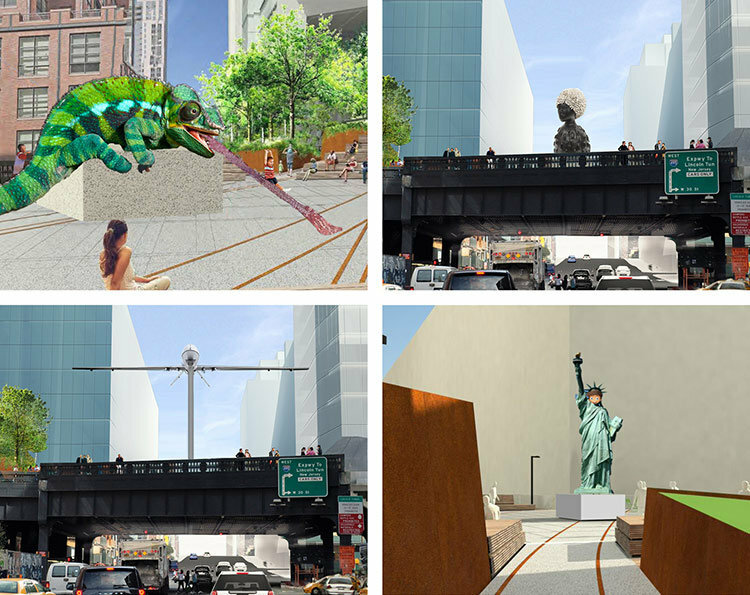 High Line visitors can get their first look at the 12 shortlisted proposals during a public exhibition on the High Line at West 14th Street from February 9 to April 30, 2017.